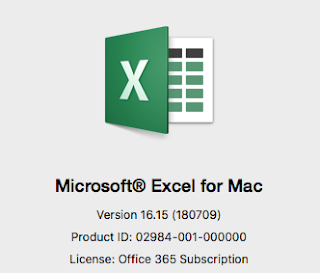 We had a requirement to generate some test data within a Microsoft Excel spreadsheet. We merely needed to copy that to the clipboard, and paste it into a nice chunk 'o cells …. So it's a piece of text concatenated with the row() index, using the ampersand ( & ) symbol. GoLang - weirdness with "panic: assignment to entry in nil map"
AIX Performance Issue but no earlier nmon data to compare! Hang on, I have a deck for that somewhere . ..
#livingInTheFuture: Things I couldn't do x years ago . . .